Draft: 2007, San Diego Padres, 2nd rd. Eric Sidney Sogard... Graduated from Thunderbird High School in Arizona where he also played soccer... Attended Arizona State University and slashed .394/.488/.619 in his junior year...Was named to the 2007 2nd Team College All-American and Pac-10 All-Conference teams...His brother, Alex, pitched in the Astros and Diamondbacks organizations and now serves as Head Coach at Wright State University. Made two separate big-league stints with the Brewers (Opening Day-May 7 and May 25-July 4)... Was optioned to Triple-A Colorado Springs on May 8 and July 5... Was released by the Brewers on July 10 and then signed a Minor League deal with Milwaukee on July 27... Finished with a .134 average (13-for-97) across 55 games for the Brewers... Played 22 games (four starts) at second, 24 games (14 starts) at shortstop and made one appearance in left field... Hit .225 (20-for-89) over 27 contests for the Sky Sox. Batted .273 with 3 HR and 18 RBI in 94 games during his first season with Milwaukee...Contract was selected on 5/12 from Triple-A Colorado Springs (24g, .330, 3hr, 17rbi, 5sb)... Made 60 starts (37g at 2B, 20g at SS, 2g at 3B, 1g in LF)... His start in left field on 5/19 at Chicago-NL is his only career appearance in the outfield... Posted a .393 on-base percentage, which would have led the team (not enough plate apps)... Produced a career-high 3 HR with a pair of them coming over his first 3 games with the team... Drew a career-high 45 walks compared to only 37 strikeouts... Recorded a career-high 4 hits on 5/16 at San Diego and again on 5/18 at San Diego... From 6/13-6/22 had a season-high 10-game hitting streak, batting .425 (17-for-40, 2rbi)...Was on the 10-day disabled list from 7/6-7/21, retroactive to 7/5, with a left ankle strain...Signed a 1-year contract with Milwaukee on 10/26 rather than enter free agency. Saw action with the A's for the sixth consecutive season and batted .247 in 120 games…is one of two Athletics to play in each of the last six seasons along with Coco Crisp…his 435 games played over that stretch are third most by an Athletic (Crisp 632, Reddick 528)…had career highs in RBI (37) and at bats (372) and matched his best in triples (3)…hit just one home run for the second consecutive season and has two home runs in his last 289 games…was successful on 6-of-7 (85.7%) stolen base attempts… made 91 of his 102 starts against right-handed pitching…hit .255 (79-for-310) against righties, .210 (13-for-62) against lefties…has made 324 of his 349 career starts against right-handers…his career splits are .245 (248-for-1013) against righties, .208 (41-for-197) against lefties…started 72 of the A's first 108 games at second base, but just 15 of the final 54…also started 14 games at shortstop and one at third base…committed five errors as a second baseman for a .989 fielding percentage…also made one error at shortstop (.983 fielding percentage)…has now played 323 career games at second base, which is sixth most in Oakland history…went 5-for-7 (.714) with three doubles (1.143 slugging percentage), a walk and 11 RBI with the bases loaded…is a .480 (12-for-25) career hitter with the bases full…had a .313 batting average with runners in scoring position and two outs…hit .280 against a pitcher the first time he saw him in a game, .193 after that…was 2-for-7 (.286) with two walks (.444 on-base percentage) as a pinch hitter…made most of his starts batting ninth (48 games) or eighth (35) in the order. Spent the entire year with the A's for the second consecutive season and batted .223 with a home run and 22 RBI in 117 games…made 88 of his 92 starts against right-handed pitching (80 at second base, 12 at shortstop)…hit .228 (57-for-250) with all 11 of his extra base hits (10 doubles, one home run) against right-handers, .195 (8-for-41) against left-handers…has made 233 of his 247 career starts against righties…his career splits are .240 (169-for-703) with six of his seven home runs against righties, .207 (28-for-135) against lefties…was batting .186 with 18 runs, nine RBI and 14 walks in 63 games before the All-Star Break…then hit .267 with 20 runs, 13 RBI and 17 walks in 54 games after the break…is a .212 (92-for-433) career hitter before the break, .259 (105-for-405) after the break…had career highs in walks (31) and stolen bases (11)…30 of his walks came while batting ninth in the order, which was the most in the majors…was successful in 11-of-15 (73.3%) stolen base attempts…led the A's with four sacrifice hits…had a .268 slugging percentage, which was a career low…it also ranked second lowest in the American League and sixth lowest in Oakland history among players with 300 or more plate appearances…hit .263 in Oakland compared to .190 on the road…clubbed his only home run of the season at home after hitting each of his first six career home runs on the road…was 3-for-6 (.500) with the bases loaded and is 7-for-18 (.389) in his career…hit .176 against a pitcher the first time he saw him in a game, .274 the second time and .355 the third time…committed five errors in 102 games at second base for a .988 fielding percentage…also made five errors in 14 games at shortstop for a .896 fielding percentage…went 0-for-3 as a pinch hitter…made a team-leading 81 starts batting ninth…also started in the eight spot 11 times. OAKLAND: Went 3-for-3 April 6 against Seattle, his fourth career three-hit game…was hitting .250 over his first seven games through April 11…then batted .176 over a 56-game stretch from April 12 to July 12…equaled his career high with three RBI April 30 at Texas (third time)…snapped a career-high 0-for-18 streak with his fifth inning single May 18 at Cleveland…finished May with a .158 batting average in 20 games…then batted .188 in 18 contests in June…matched his career high with three hits June 1 against Los Angeles (AL) and Sept. 13 at Seattle (sixth time)…had the second two-steal game of his career June 17 against Texas (also June 12, 2013 vs. New York-AL)…did not commit an error over his first 61 games through July 12, including 60 games as a second baseman…made his first error July 20 against Baltimore, snapping a 62-game errorless streak as a second baseman dating back to Sept. 28, 2013…it was the fourth longest errorless streak by a second baseman in Oakland history…that started a seasonending stretch where he committed 10 errors over his final 54 games (five at shortstop, five at second base)…had back-to-back multiple hit games July 20 and 23 and hit .333 over a 14-game stretch from July 20 to Aug. 8…batted .267 in 12 games in July and .267 with 12 walks (.384 on-base percentage) in 25 games in August…had made 56 of his 57 starts through Aug. 4 as a second baseman…then made 24 starts at second base and 11 at shortstop over the A's final 51 games…tied an Oakland record with two sacrifice hits Aug. 5 against Tampa Bay…homered in the sixth inning the next day against the Rays to snap a career-high 110-game, 341-at bat homerless streak…it was his lone home run of the season and his first since July 21, 2013 at Los Angeles (AL)…the home run came in a start at shortstop…now has a 122-game homerless streak as a second baseman, which is an Oakland record for a second baseman, topping the mark of 113 set by Mike Edwards from July 21, 1978 to June 22, 1979…it is the longest by an Athletics second baseman since John Donaldson had a 148-game streak from Aug. 26, 1966 to June 10, 1968…walked a career-high four times Aug. 9 against Minnesota to become the first Athletic and 14th Major Leaguer since 1914 to walk four times while batting ninth in the order…hit safely in a season-high four straight games from Aug. 20 to 27 (4-for-10, .400)…drove in seven runs in 25 games in August after collecting just 11 RBI over his first 70 games…went 0-for-4 with four strikeouts Sept. 21 against Philadelphia…prior to that, had not struck out more than twice in a game in his career. Completed his first full Major League season in 2013 and batted .266 with two home runs and 35 RBI in 130 games…hit .190 with four home runs and 11 RBI in 68 games over his first three seasons from 2010-12…led the A's with six sacrifice hits…made 104 of his 110 starts against right-handed pitchers…hit .274 (84-for-307) against right-handers…was 14-for-61 (.230) against left-handers…hit both of his home runs on the road and has hit each of his six career home runs away from the Coliseum…had 13 RBI in 76 games before the All-Star Break…then drove in 22 runs in 54 games after the break…batted .298 against a pitcher the first time he saw him in a game, .180 the second time and .300 after that…his career splits are .269, .162 and .269…was 4-for-9 (.444) with the bases loaded…hit .195 with runners in scoring position and two outs and has a .190 (11-for-58) career average in that situation…started 110 games, including 98 at second base and 12 at shortstop…made each of his first 75 starts at second base before making his first start at shortstop Aug. 3 against Texas…committed seven errors as a second baseman for a .985 fielding percentage…made two errors at shortstop (.965)…ranked second among American League second basemen in total chances per nine innings (4.91)…went 1-for-7 (.143) with a walk and double as a pinch hitter…made a team-leading 74 starts batting ninth in the order. Split his season between Oakland and Sacramento, batting .167 with two home runs and seven RBI in 37 games with the A's and .331 with five home runs and 22 RBI in 37 games with the River Cats...missed the final two months after he was placed on the disabled list with a strained back...the 37 games were his most in his three seasons in the majors, but the batting average was his lowest...batted .229 with each of his two home runs and six of his seven RBI on the road compared to .134 at home...is a .231 (18-for-78) career hitter on the road with all four of his home runs and 10 of his 11 RBI compared to .158 (16-for-101) at home...all four of his career home runs have come off right-handed pitching...both of his home runs in 2012 came with runners on base...had a .292 batting average when leading off an inning and has a .283 (13-for-46) career average in that situation...hit .267 in the seventh inning or later compared to .088 over the first six innings of a game...now has a .282 (22-for-78) career average from the seventh inning on compared to .119 (12-for-101) over the first six innings...was 2-for-6 (.333) with a double as a pinch hitter and is 3-for-8 (.375) in his career...made 25 starts, including 12 at third base, eight at shortstop and five at second base...made two errors as a third baseman but did not commit an error as a shortstop or second baseman. Spent the first half of the season with Triple-A Sacramento but was called up to Oakland at the All-Star Break...spent the remainder of the season with the A's, hitting .200 with two home runs and fourRBI...appeared in just 27 of the A's 70 games after joining the club July 15, making 19 starts (eightat shortstop, eight at third base, three at second base)...hit .237 (14 for 59) against right-handed pitchingand was 0-for-11 against left-handers...hit both of his home runs off righties on the road with thebases empty...was 2-for-14 (.143) with runners in scoring position...batted .250 at night, .147 duringthe day...had a .276 average in the seventh inning or later, compared to .146 over the first six inningsof a game...now has a .303 (10-for-33) career average in the seventh inning or later after batting .159(7-for-44) over the first six innings. OAKLAND: Was recalled from Sacramento July 15 and made his first start the next day at shortstopin the second game of the doubleheader against Los Angeles...went 1-for-3 with a double and a runscored...it was his first career extra-base hit and run...grounded out in the third inning July 20 at Detroitto score David DeJesus for his first career RBI...hit safely in a career-high four consecutive games July24 to Aug. 2 (4-for-10, .400)...had a pinch-hit single July 27 against Tampa Bay in his only pinch-hittingappearance of the season...was batting .278 with three walks over his first seven games through Aug.2...then went 9-for-52 (.173) with one walk over his final 20 games...had a career-high 0-for-12 streakfrom Aug. 2-15...hit his first Major League home run Aug. 23 at New York, a solo shot off Colon to leadoff the third inning...also went deep Sept. 11 at Texas...started eight of the A's final 14 games beginningSept. 14 (four at shortstop, two at second base, two at third base), hitting .200 (5 for 25) over thatstretch...had his first career multiple-hit game Sept. 24 at Los Angeles when he went 2-for-4. SACRAMENTO: Hit .298 with five home runs and 37 RBI in 79 games with the River Cats...added40 walks for a .381 on-base percentage...struck out just 34 times, an average of 10.76 plate appearancesper strikeout...it was the fourth consecutive season he finished with more walks than strikeouts...rankedfifth in the A's farm system in batting and was seventh in on-base percentage...batted .306 (34-for-111)against left-handed pitching, compared to .294 (60-for-204) against right-handers...had a .329 averagewith runners in scoring position but was just 6-for-28 (.214) with RISP and two outs...hit .324 with fourof his five home runs and 24 of his 37 RBI in 35 games on the road...batted .275 in 44 home games...had a .344 average with 19 of his 37 RBI in the seventh inning or later...batted .279 over the first sixinnings...appeared exclusively at shortstop on defense...committed seven errors in 73 games for a .976fielding percentage...also appeared in six games at designated hitter, hitting safely in each contest (11-for-25, .440)...batted .258 in 34 games hitting leadoff and .323 in 35 games batting second...got off to aslow start, hitting .228 with a home run and three RBI over his first 13 games...then had a season-high four hits April 20 at Reno...went 3-for-5 the next day against the Aces with a season-high three RBI...reached base safely via hit or walk in 27 consecutive games from April 30 to June 2...hit .318 (35-for-110) with a .400 on-base percentage during the streak...homered in back-to-back games May 1 at LasVegas and May 2 against Salt Lake City...matched his season high with three RBI on the 2nd...hada season-high 13-game hitting streak from May 7-26 (17-for-57, .298)...went 6-for-8 with six runs, adouble, home run and three RBI in a doubleheader at Las Vegas July 9, the final games before the All-Star Break...collected three hits and scored three runs in each game...was named to the Pacific CoastLeague Mid-Season All-Star Team...went 0-for-2 as a defensive replacement at shortstop in the Triple-A All-Star Game at Salt Lake City July 13...went 0-for-3 against Fresno in the first game after the breakJuly 14 but was promoted to Oakland the next day...was leading the River Cats in runs (55), hits (94)and stolen bases (13) at the time of his promotion. Spent the entire season with Triple-A Sacramento before he was brought up to Oakland following theconclusion of the River Cats' season Sept. 14...went 3-for-7 (.429) with two walks in four games withthe A's...made his Major League debut Sept. 14 at Kansas City, walking as a pinch hitter for Mark Ellisin his first plate appearance in the fourth inning of an 11-3 A's loss...remained in the game at second baseand singled off Dusty Hughes in the eighth inning for his first big league hit...struck out as a pinch hitterthe next day against the Royals and did not play again until Sept. 22 against Chicago when he made hisfirst start at second base (1-for-3)...all three of his defensive appearances came at second base...had asingle and a walk Sept. 26 against Texas but did not play on the final road trip of the season. SACRAMENTO: Spent the balance of the season at Triple-A Sacramento where he hit .300 with fivehome runs and 65 RBI in 137 games...added 75 walks to fuel a .391 on-base percentage...struck outjust 68 times and has finished with fewer strikeouts than walks in each of his last three seasons...stole 14bases, his third straight season in double figures...had career-highs in games, triples (6) and strikeouts...ranked fourth in the Pacific Coast League in walks and was fifth in games played...led Sacramento ingames, hits (154) and walks, finished second in doubles (28) and total bases (209) and tied for second intriples...ranked third in the A's farm system in hits, fourth in batting, fifth in walks and on-base percentage,tied for sixth in triples, eighth in total bases (209) and tied for ninth in runs (82)...hit .303 againstright-handed pitching and .291 against left-handers...had a .326 batting average with runners in scoringposition...batted .324 with 21 of his 28 doubles on the road...hit .339 during the day but belted all fiveof his home runs at night...batted .350 in the first inning...committed 10 errors in 95 games as a secondbaseman for a .979 fielding percentage...also made four errors in 25 contests at shortstop (.968) but wenterrorless in 14 games as a third baseman...hit in every spot in the batting order except fourth...saw hismost action hitting second, where he batted .337 in 62 games...got off to a slow start, hitting .164 overhis first 17 games...then had a 12-game hitting streak from April 25 to May 8 (22-for-47, .468) to lifthis average over .300 for the first time (.304)...followed the hitting streak with a season-long 0 for 19skid...hit safely in 19 consecutive road games from May 14 to June 24 (31-for-76, .408), which was thelongest road hitting streak in the PCL...went 4-for-5 May 30 at Reno, his first of two four-hit games...that was part of streak of five consecutive multiple hit games from May 27 to 31 (12-for-21, .571)...hithis first home run May 29, his 49th game of the season...batted .343 in May, his best month in 2010...hit safely in a season-high 17 consecutive games from June 5 to 24 (25-for-66, .379) to lift his battingaverage back over .300 (.309)...went 2-for-23 (.087) over his next six games but then had three straightthree-hit games at Reno, July 5-7...had his lone two-steal game of the season, July 18 at Salt Lake...had a 10-game hitting streak from Aug. 2 to 11 (14-for-43, .326) and scored at least one run in each ofthe first nine games during that streak (12 runs total)...drove in a season-high four runs Aug. 22 at SaltLake...his average slipped to .291 Aug. 30 but he went 12-for-26 (.462) over his final seven games tofinish the year at .300...homered in back-to-back games, Sept. 2-3...was 4-for-6 with two doubles, a home run and three RBI Sept. 3 at Colorado Springs...went 6-for-19 (.316) with seven runs, two RBI,five walks and two stolen bases in five postseason games for the River Cats. Was acquired by the A's in the Kevin Kouzmanoff trade in January after batting .292 (352 for 1204) with78 doubles and 203 runs scored in 304 games in three seasons as a professional...also has 162 walks fora .375 on-base percentage...was named to the California League Postseason All-Star team in 2008 afterleading the league and tying for sixth in the minors with 42 doubles. Was named to the California League Postseason All-Star team after batting .308 with 10 homeruns and 87 RBI in 133 games for Lake Elsinore...led the CL in doubles (42), ranked second in at bats(536), hits (165), walks (79) and strikeouts per plate appearance (10.03), third in games, runs (97) andtotal bases (243), fourth in RBI and on-base percentage (.394) and ninth in batting...tied for sixth inall of minor league baseball in doubles, tied for 11th in runs and tied for 14th in hits...led the Storm indoubles, RBI and walks...batted .316 against left-handed pitching and .306 with nine of his 10 homeruns against right-handers...hit eight of his 10 home runs on the road and nine came after the All-StarBreak...had a .340 average when leading off an inning and .348 with runners in scoring position and twoouts...led Cal League second baseman with a .973 fielding percentage, 110 games, 563 total chances,200 putouts, 348 assists and 58 double plays...also appeared in one game at third base...saw most of hisaction with 96 games in the three spot in the order...got off to a fast start, batting .388 with 15 doubles, 20 RBI, 23 walks and 24 runs scored in 27 games in April...added a .333 batting average in June and hit.344 with 15 doubles, four home runs and 26 RBI in 29 games in August...reached base safely via hit orwalk in 30 consecutive games from April 6 to May 8...hit safely in a season high 16 consecutive games,Aug. 11 to 27...batted .414 (29 for 70) with 12 doubles and 19 RBI during the streak...that included athree-double game, Aug. 14 at Inland Empire, and his second four-hit game of the season, Aug. 16 atInland Empire...then hit .467 (14 for 30) with 10 runs, three doubles, a triple, six RBI and four walks inseven postseason games for the Storm. Played for three different teams in his first season and batted a combined .251 with four homeruns and 33 RBI in 54 games...was assigned to Single-A Eugene of the Northwest League after signingand hit .256 with two home runs and 18 RBI in 31 games...was transferred to Triple-A Portland July7 and went 0 for 3 in one game before returning to the Emeralds July 9...moved up to Single-A FortWayne of the Midwest League Aug. 11 and hit .253 with two home runs and 15 RBI in 22 games withthe Wizards...appeared in 42 games at second base and four at shortstop...hit his first professional homerun July 25 against Tri-City and then belted a grand slam the next day against the Dust Devils. 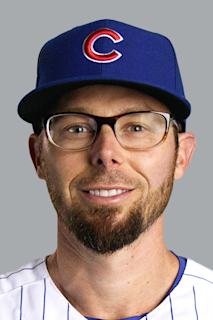 April 15, 2019 Toronto Blue Jays selected the contract of 2B Eric Sogard from Buffalo Bisons. December 21, 2018 Toronto Blue Jays signed free agent 2B Eric Sogard to a minor league contract and invited him to spring training. December 21, 2018 2B Eric Sogard assigned to Buffalo Bisons. September 1, 2018 Colorado Springs Sky Sox released 2B Eric Sogard. August 6, 2018 2B Eric Sogard assigned to Colorado Springs Sky Sox from AZL Brewers. August 3, 2018 2B Eric Sogard assigned to AZL Brewers. July 27, 2018 Milwaukee Brewers signed free agent 2B Eric Sogard to a minor league contract. July 27, 2018 2B Eric Sogard assigned to Colorado Springs Sky Sox. July 10, 2018 Milwaukee Brewers released SS Eric Sogard. July 5, 2018 Milwaukee Brewers designated SS Eric Sogard for assignment. May 25, 2018 Milwaukee Brewers recalled SS Eric Sogard from Colorado Springs Sky Sox. May 8, 2018 Milwaukee Brewers optioned SS Eric Sogard to Colorado Springs Sky Sox. May 3, 2018 2B Eric Sogard assigned to Colorado Springs Sky Sox. July 22, 2017 Eric Sogard roster status changed by Milwaukee Brewers. July 19, 2017 Milwaukee Brewers sent 2B Eric Sogard on a rehab assignment to Wisconsin Timber Rattlers. July 6, 2017 Milwaukee Brewers placed 2B Eric Sogard on the 10-day disabled list retroactive to July 5, 2017. Left ankle strain. May 12, 2017 Milwaukee Brewers selected the contract of 2B Eric Sogard from Colorado Springs Sky Sox. December 15, 2016 Milwaukee Brewers signed free agent 2B Eric Sogard to a minor league contract and invited him to spring training. December 15, 2016 2B Eric Sogard assigned to Colorado Springs Sky Sox. October 7, 2016 2B Eric Sogard elected free agency. October 6, 2016 Oakland Athletics sent 2B Eric Sogard outright to Nashville Sounds. April 11, 2016 Oakland Athletics sent 2B Eric Sogard on a rehab assignment to Stockton Ports. October 15, 2012 Oakland Athletics activated 2B Eric Sogard from the 15-day disabled list. August 20, 2012 sent 3B Eric Sogard on a rehab assignment to Sacramento River Cats. August 10, 2012 Oakland Athletics placed 3B Eric Sogard on the 15-day disabled list retroactive to August 7, 2012. Back strain. July 20, 2012 Oakland Athletics recalled 3B Eric Sogard from Sacramento River Cats. June 24, 2012 Oakland Athletics optioned Eric Sogard to Sacramento River Cats. June 16, 2012 Oakland Athletics recalled 3B Eric Sogard from Sacramento River Cats. May 21, 2012 Oakland Athletics optioned Eric Sogard to Sacramento River Cats. July 15, 2011 Oakland Athletics recalled Eric Sogard from Sacramento River Cats. March 30, 2011 Oakland Athletics optioned Eric Sogard to Sacramento River Cats. September 14, 2010 Oakland Athletics selected the contract of Eric Sogard from Sacramento River Cats. April 6, 2010 Eric Sogard assigned to Sacramento River Cats from Oakland Athletics. January 26, 2010 Oakland Athletics invited non-roster 2B Eric Sogard to spring training. January 16, 2010 San Diego Padres Traded 3B Kevin Kouzmanoff to Oakland Athletics; Oakland Athletics Traded RF Aaron Cunningham and LF Scott Hairston to San Diego Padres and San Antonio Missions Traded 2B Eric Sogard to Midland RockHounds. May 15, 2009 Eric Sogard roster status changed by San Antonio Missions. May 4, 2009 San Antonio Missions placed 2B Eric Sogard on the 7-day disabled list retroactive to May 2, 2009.